Our latest model Yamaha Waverunners pump out a whopping 130hp, so you can enjoy an ultimate rush. No experience necessary as full safety briefing conducted prior to activity. We have the largest and safest jetski circuit (approx. 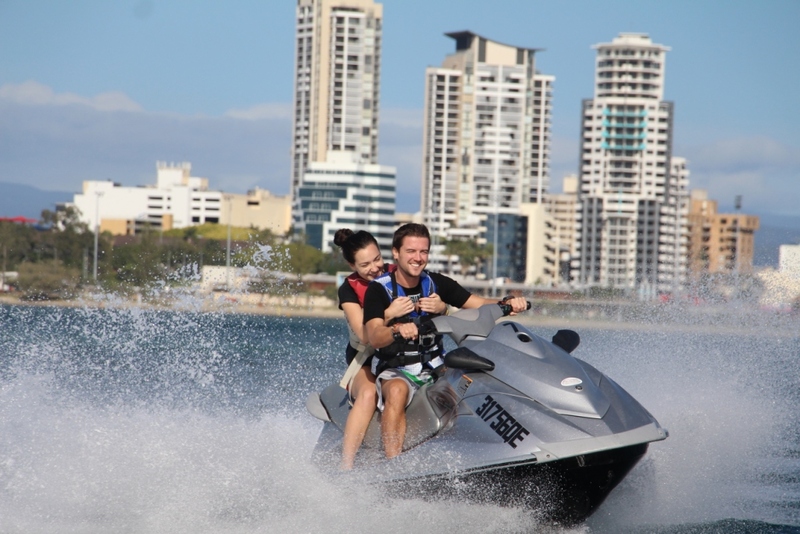 1 kilometre) on the Gold Coast and our friendly and experienced staff will ensure you make the most of your extreme jetski experience. Seaworld Resort facilities (swimming pool, cafe, kids waterslides). Must be at least 8 years old to go with an adult. 16 years old to ride on their own. 18 years old to have a passenger. Photo id required for paperwork. Please arrive 30 minutes prior to booking time for paperwork and briefing. Price is per jetski and you can have up to 2 people on the jetski. Please select number of jetskis when booking not number of participants.